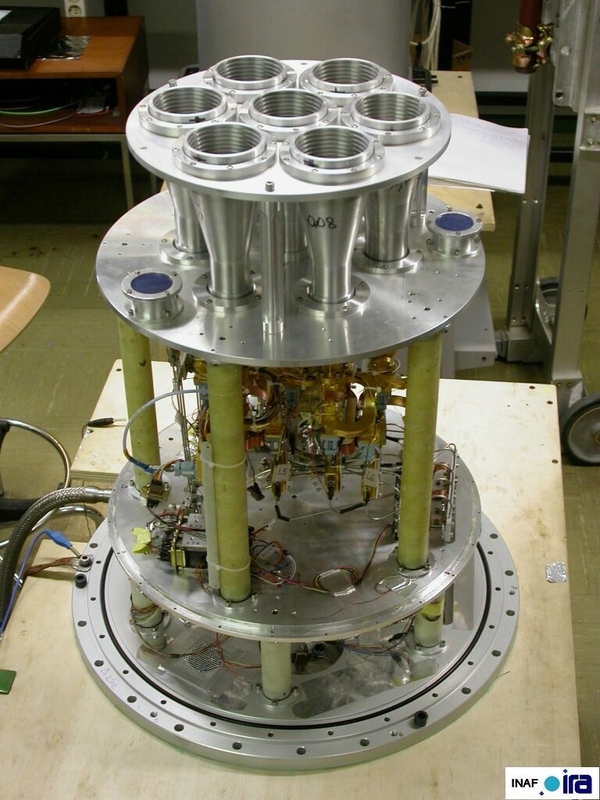 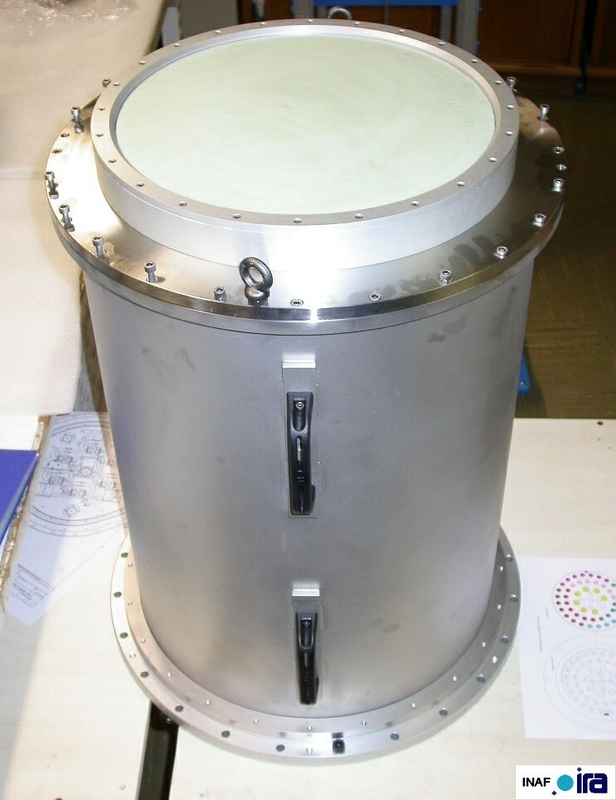 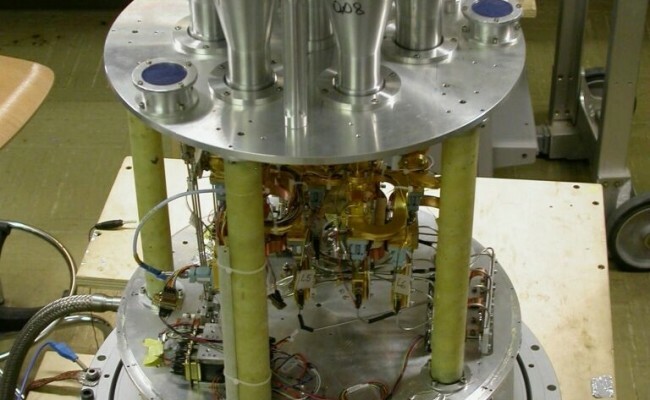 This cryogenic 22hz Multi – Feed receiver (completed and tested on the 32m antenna of Medicina) is now being used in the secondary focus of the Sardinia Radio Telescope( HYPERLINK “http://www.srt.inaf.it/” http://www.srt.inaf.it/ ),the 64 m antennae of INAF. 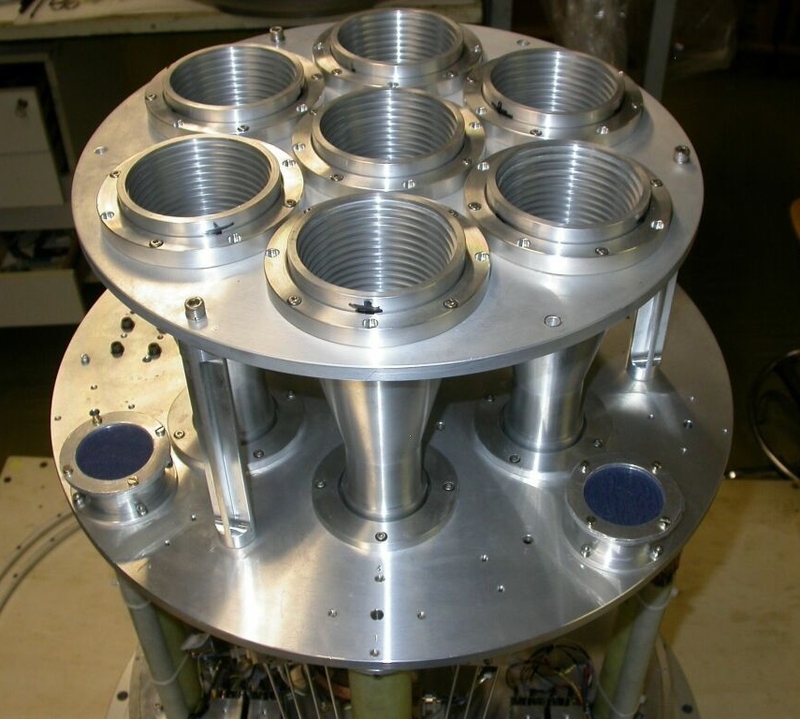 The receiver works in the 18-26.5 GHz band with double circular polarization on seven pixels, totaling 14 channels with 2Ghz instant band each. 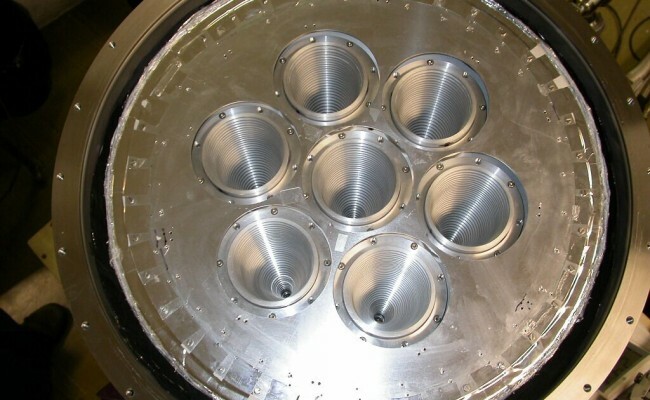 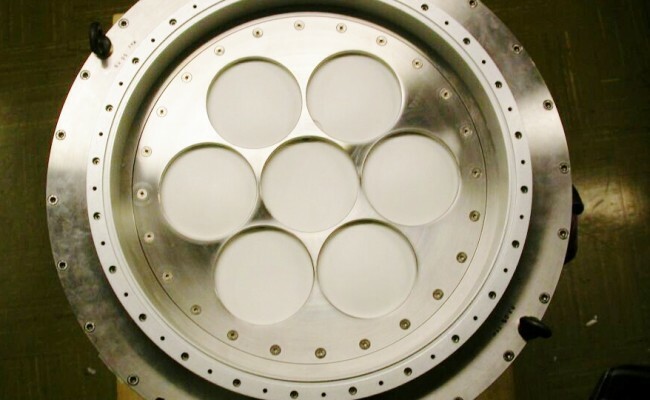 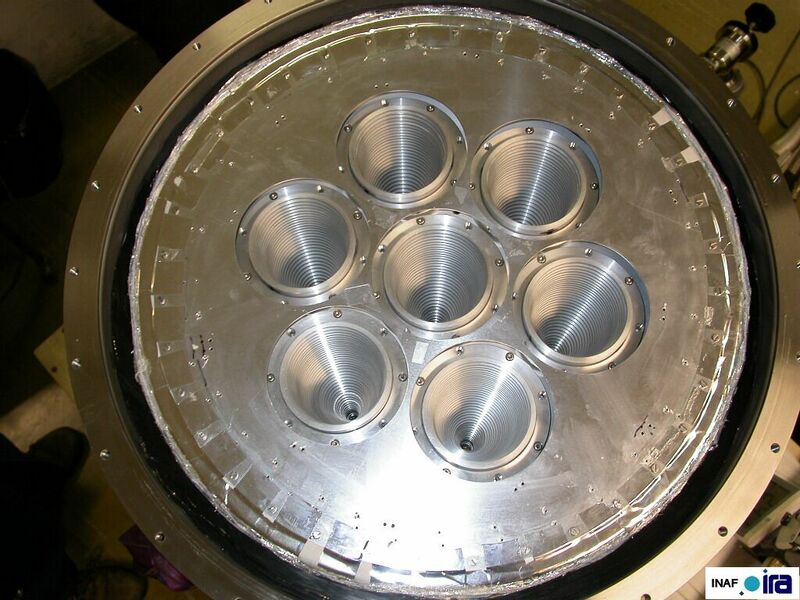 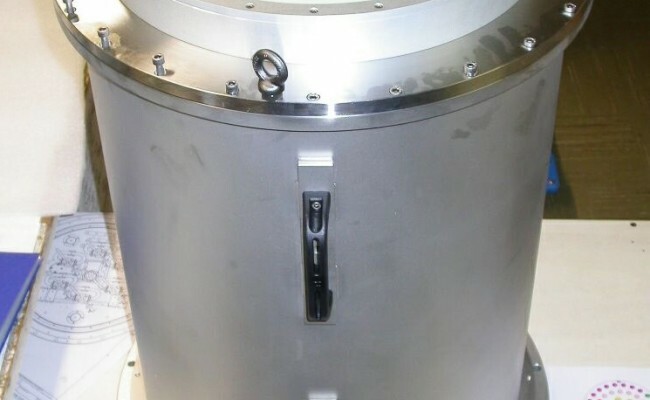 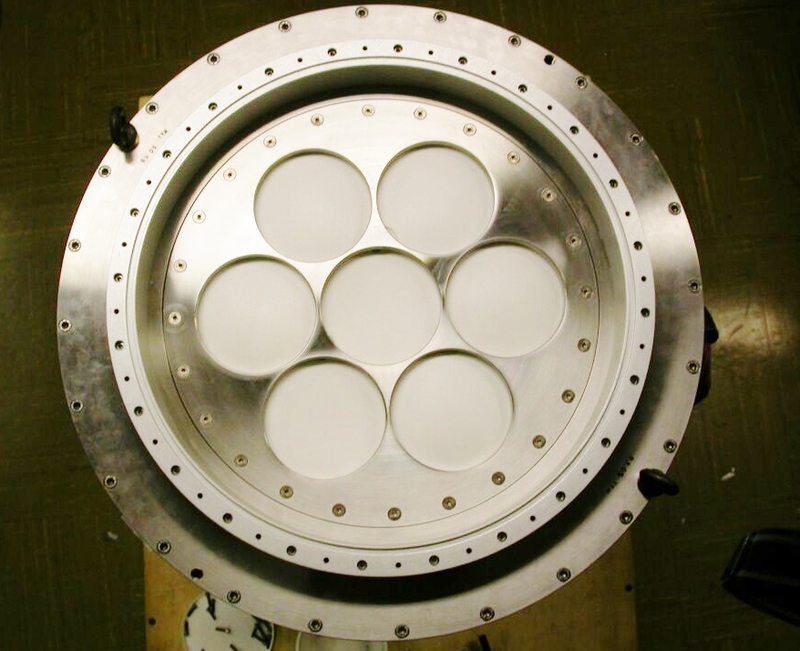 In the pictures, there is a detail of the external part of the receiver with the cylindrical vacuum chamber machined from aluminum billet, the internal part with 7 corrugated feeds, the 20K surface and the 70K surface. 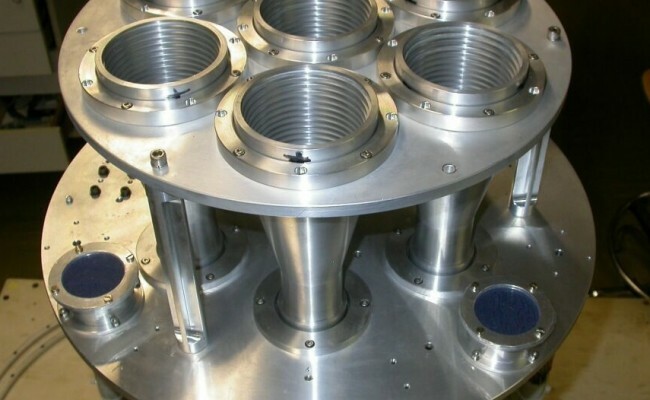 The seven feeds were CNC machined and partly made of concentric rings and partly of circular corrugations machined directly on the feeds.